Periodically, we organize group pack walks free of charge at different locations around the Niagara region. 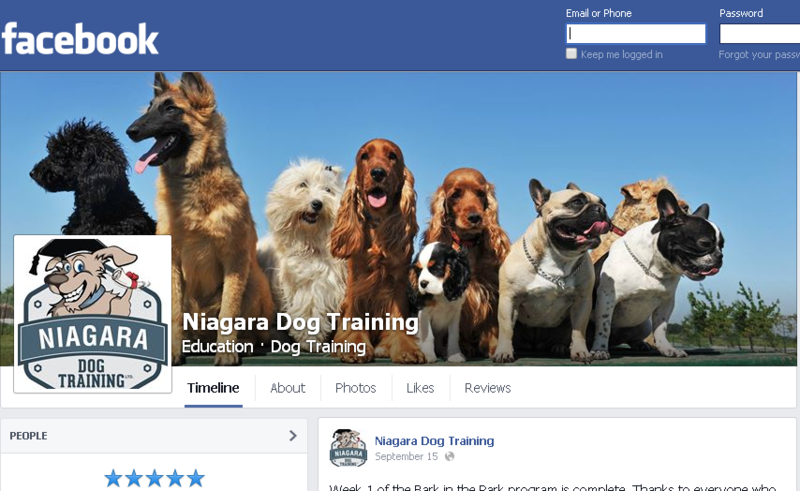 You do not have to be a client of Niagara Dog Training in order to attend, however, the focus of the Pack Walk is on exercise and socialization rather than formal obedience or behaviour training. If you are interested in joining our next Pack Walk, please 'Like' us on Facebook and stay tuned for updates on the next Pack Walk time and location. Contact us if you have any questions or would like to enroll in a training program.